Louie Bellson Monument in his boyhood home and final resting place, Moline, Illinois. For full story and photos, go to (click) Monument Dedication subpage. Share your remembrance in the Guestbook. Memorial Tribute program performed by The Musician's Warehouse Big Band in collaboration with the combined choirs of Emmanuel Bapt. Church, San Jose, CA. Louie was a faithful member of Emmanuel where he was baptized and married Mrs. B. 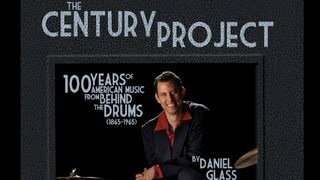 He played there frequently, including presenting his "Sacred Music" Concert at Emmanuel, 3/1/02. 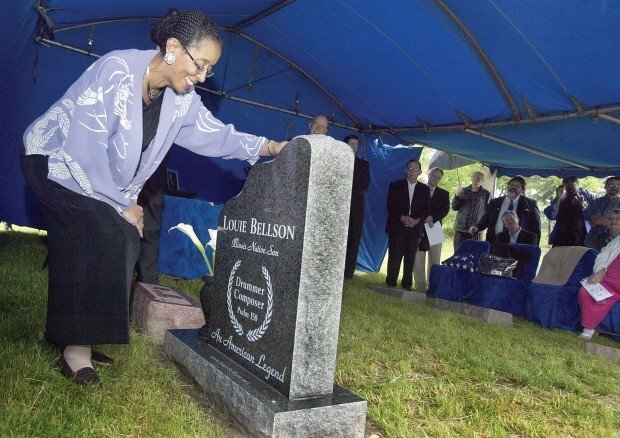 See (click) HERE (News) page for 7/19/09 story on passing of Bellson's daughter, vocalist DEE DEE BELLSON.